The cultivation of saffron | News & Exhibitions | COSMECO S.r.l. 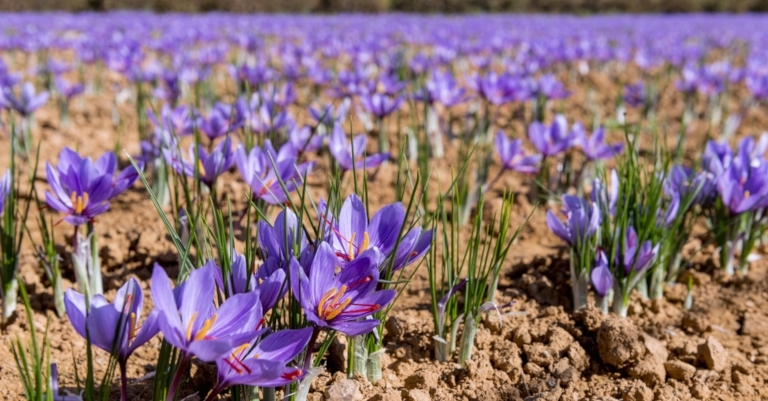 The cultivation of saffron is an activity that requires a good dose of specific knowledge and that is particularly suitable for all those areas, such as Italy or Spain, where there is a temperate climate. Although more and more companies have been making the decision to invest in this type of business, in order to start the production of this spice it is necessary to make some preliminary evaluations that will help you make as much profit as possible. What machines are suitable for this type of cultivation? These machines are designed by a team of highly specialized professionals, who thoroughly study the needs of those involved in the production of this herbaceous plant, in order to improve the productivity of their land. Why choose to grow saffron? In addition to these aspects, finally, it is possible to make a profit from the sale of the bulbs, which can be offered to other farmers or to private individuals. The activity in question can be started in any Italian region, thanks to the plant’s good resistance to both drought and high temperatures. Although, as already mentioned, it requires numerous hours of work, cultivating saffron is not a particularly complicated activity, but it does require some preliminary training. One of the most complex elements, for example, might be the one related to the initial selection of the bulbs, which, to an untrained eye, may all look the same. Those of a better quality, in fact, have a diameter of more than 2 cm, better if it is between 3 and 4, and they must not be damp. Once you have purchased the bulbs, you can start to plant them, choosing whether to carry out an annual cultivation (planting every year in different soil) or multiyear (planting in the same soil for 3 to 5 years). Regarding the planting activity, on the other hand, it will be necessary to dig holes in the soil that are about 10 cm (better to make them 14 cm if you intend to proceed with multiyear cultivation), leaving a distance of about 10 cm between one plant and another. In the case of a bed former, 2 or 4 rows can be placed on each raised seedbed. Once inserted into the soil, the plants must be kept clean from weeds, without any particular irrigation (except for bad periods of drought), bding particularly careful to avoid the presence of snails within the saffron plantation. If you need to get more information about the choice of machines suitable for growing saffron, access the contact section and fill in the form you will find there. In the shortest possible time, the company will be happy to answer all your questions and provide you with all its support in choosing the earth-moving or horticulture equipment that best suits your needs.